ESR | November 6, 2017 | My Pilgrimage, Chapter Thirty-Five: The Perfect Title for “A Perfect World�? That is how I would describe the genius on display in A Perfect World. People dismiss satire as something that opens on Friday night and closes with the Sunday matinee. Then again, in a “perfect world” marked by human gods of literature such as Dante Alighieri, there are “Seriously Divine Comedies” and, yes, I feel A Perfect World is one of them. The title is both a satire and, for myself at any rate, an unquestionable reality. The frequently comic nightmare that unfolds in this film is, in my personal opinion, the portrait of God’s Perfect World. The hero of the film is played neither by Kevin Costner nor Clint Eastwood. The hero is the as-yet-to-be-corrupted child. As painful as it proves to be, the young failingly innocent child is forced by reality to become our shining knight. No, despite Kevin Costner’s flawlessly charming and brilliant simplicity as our American version of French film’s anti-hero, this indisputably Hollywood legend delivers us an inevitably psychotic killer who just has to be stopped. The most moving element in Mr. Costner’s singular magic in this role is that he secretly but increasingly knows he has to be stopped. The formula for this performance’s power? Not one ounce of self-pity. 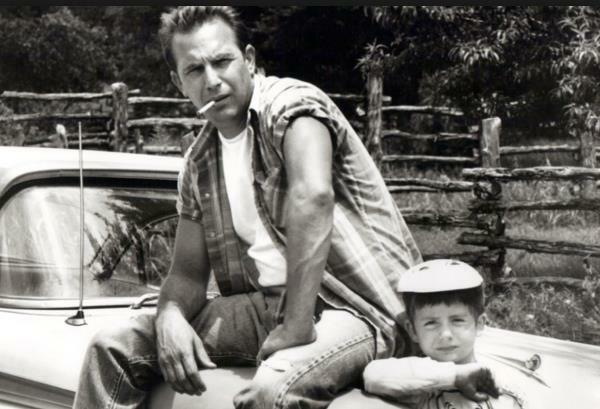 Kevin Costner, with, as I’ve said, perfectly tragic simplicity, plays out what just has to be played out. The mastermind, however, behind all of this film’s brilliance is, of course, Mr. Clint Eastwood. The Eastwood secret: He has increasingly proven that he knows great writing when he reads it and he knows exactly how to cast each of the roles. Then, by offering his cast powerfully quiet support, he just lets his artists do some of the best work they’ve ever offered us. With this film, the heart of its genius lies, as it should, in the script. A Perfect World is, in my opinion, a cinematic masterpiece. Perfectly cast, perfectly directed and perfectly performed, amidst all that perfection is the centrally inspiring magic: the script itself. Few modern writers understand the architectural necessities required for authentic tragedy. John Lee Hancock, the film’s author, certainly seems to. Clichés, like “tragic flaw”, abound but rarely are they painted with the depth of ubiquitous detail we find in A Perfect World. The principal figures, all of them, have their moments of foolishness, stupidity and, in some cases, downright evil. In the end, for God-loving and God-fearing humans like myself, the World could only have been made perfect by God. The Almighty’s self-less gift to us of Free Will. Without the insanities of human free will, our Earth, our Solar System, our Galaxy, our Universe would not and could not possibly contain A Perfect World.